Operation: Firestorm is an enhancement mod for C&C Generals: Zero Hour. This mod currently features 8 unique playable Generals each with a huge arsenal of new units, buildings and special powers ar their disposal. While the core gamplay stays the same, a number of interesting new gameplay mechanics are added. In addition the overall visual quality is greaty improved, including new models, textures, FX and an improved User-Interface, available in full-HD resolution. 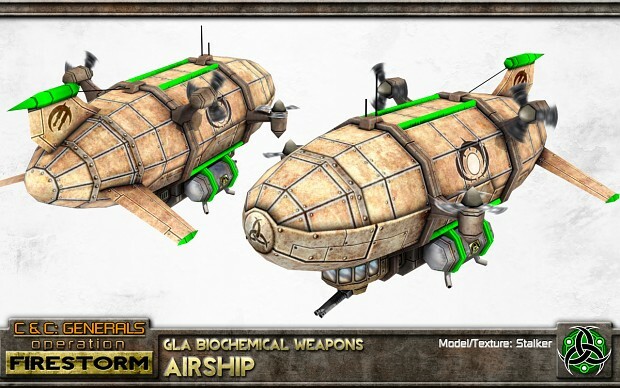 The Airship (Available at Rank 4) is the largest unit in Dr. Thrax' arsenal. While moving at a very slow pace, these beasts are the most durable air unit in the game. 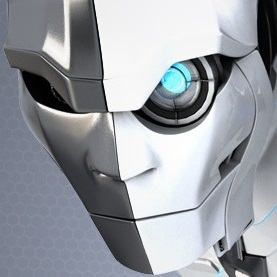 They can destroy lighter targets with a heavy machine gun turret, while their main role is to bomb enemy bases. Once you're in range, these Bombs deal extremely high damage. In addition, airships carry huge amounts of Anthrax to contaminate large areas.